Woke up on the floor with poison in my blood, and I'm missing you. “I feel like it would be my most personal work to date,” he ventures on the topic of Broken Brights. “I think I’m constantly introverting to that place, to that pocket I’ve always wanted to live inside amongst the songs & the tales that I’ve written. This album holds an essence that I’ve been searching for, for a long time.” That search has taken him to the far-sailed corners of the globe. He’s recorded in a rustic dwelling nestled in the Swiss Alps, beneath Australia’s bright-lit cherry blue skies along the coastline, to a ramshackle log cabin with a view over the lush Indian countryside. For the past seven years, he’s been travelling the world as one half of brother-sister duo Angus & Julia, during which time he’s played to spell-bound audiences in sold-out shows at iconic venues like London’s Royal Festival Hall and Paris’s Le Trianon. Together, the artists have sold close to a million records around the world since the release of their debut EP, Chocolates and Cigarettes, in 2005. Now, Angus Stone is setting out on his own. 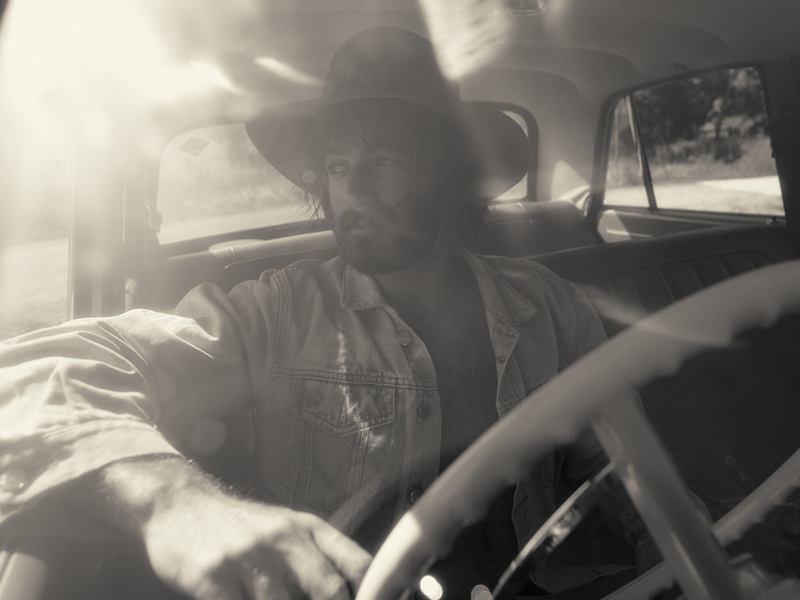 Broken Brights marks a departure for Angus Stone, and not just from recording with his long-term musical coconspirator Julia. The album is proof that he can deftly shift between genres without compromising his signature sound. While title track ‘Broken Brights’ is a return-to-form for Stone — it’s a nostalgic, dreamy tribute to our youth — ‘Bird On the Buffalo’ is a livelier composition, incorporating distorted guitar riffs, which also make an appearance in the notably rockier ‘It Was Blue’. That string-laden track in particular is proof that his compositional skills transcend the preconceptions you might have about his musical style. In fact, in order to challenge himself both as a recording artist and a live performer, Stone has drawn on a variety of unexpected sources whilst creating this album. He’s incorporated a plethora of new instruments, sounds and vocal styles (which range from gently strummed acoustic guitars to screaming electric guitars, from softly spoken lyrics to words howling inside the microphone) from genres as diverse as country, alt-rock & folk music. ‘Wooden Chair’ for example, is a toe-tapping love tune replete with good old-fashioned hand clapping and whistling, whilst ‘Monsters’ is a surprising, upbeat tune where speedily plucked banjo strings are accompanied by all-most royal somber trumpet solo, mirroring the feelings of hope and hopelessness experienced during our darkest moments. The deeper you delve into the album, the more you come to expect the unexpected from Stone. Despite the marked transition that’s taken place during the cathartic recording of Stone’s genre-spanning record, he explains: “The way I approached writing this record is the way I’ve always tried to write music: the moment a song chooses you it will arrive & unfold in its own time… it should always be naked & willing. Fittingly, there’s a story behind each and every track on the album. ‘Bird On the Buffalo’ was written on the road in Europe, whilst Stone was shacked up in a hotel room and musing on the nature of symbiotic relationships between the bird & the buffalo. ‘Wooden Chair’ on the other hand, was inspired by the melody from the Angus & Julia track of the same name, which Stone felt needed to be revisited and brought to life in a new way. And perhaps that’s a strong metaphor for what he’s done in this album: Stone has drawn upon the ideas and experiences that make Angus & Julia’s music so endearing, whilst offering a fresh perspective on the world that they’ve created. His poignant lyrical musings on life, love, and loss are both familiar and fresh, which will no doubt excite old fans and invite new ones into the fold.